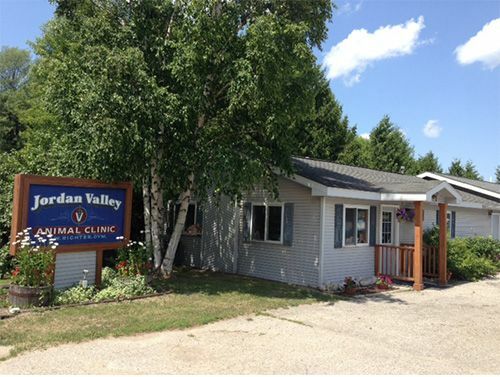 Jordan Valley Animal Clinic welcomes you! 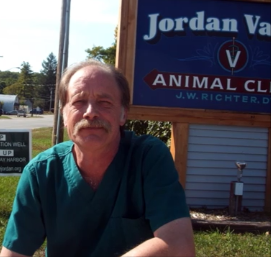 The Jordan Valley Animal Clinic was started in 1984 by Dr. John Richter. Dr. Richter served the East Jordan Community for over 30 years, as a dedicated veterinarian and the founder and lifelong President of the Friends of the Jordan Watershed Council. 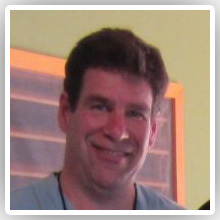 Dr. Richter and the present owner Dr. Jeffrey Powers both attended Michigan State University's College of Veterinary Medicine, Dr. Richter graduating in 1979 and Dr. Powers graduating in 1980. We are dedicated to compassionate veterinary patient care, something that has been a hallmark of both doctors' method of practice for over three decades.